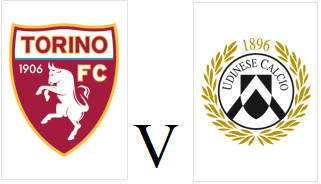 Torino ended the year in disappointing fashion after a 1-0 defeat at the hands of Udinese on Sunday evening. Pontus Jansson was a surprise starter in place of captain Kamil Glik, whilst Marco Benassi and Fabio Quagliarella also returned to the starting eleven. Udinese capitalised on a slow start by the Granata, and both Stipe Perica and Antonio Di Natale went close in the early stages. At the other end, Fabio Quagliarella almost ended his goal drought, but his long range effort went narrowly over the bar. Andrea Belotti also came close to opening the scoring for Toro, but his half volley was well saved by Orestis Karnezis. Five minutes before half time, Udinese took the lead after a defensive mix up allowed Stipe Perica to get through on goal and score. Fabio Quagliarella almost got on the end of a clever Cristian Molinaro free kick, but was unable to get a shot away. Edenilson and Perica both had chances to double Udinese's lead, but Toro had a lifeline when Molla Wague was dismissed for a second yellow card after pulling back Quagliarella. However, Toro couldn't capitalise on the extra man advantage and end the year in 11th place, athough they do have a game in hand. After their mid-week thumping at the hands of Juventus, Torino will look to give their fans something to cheer in their last fixture of 2015. The Granata have been in good recent form in the league, and have not been beaten since a narrow defeat against Inter at the start of November. Bruno Peres is suspended, so Davide Zappacosta should deputise at right wing back, whilst Danilo Avelar made his return from injury against Juventus and could also start. Udinese have lost their last two league games, heavy defeats against Fiorentina and Inter, but have already won once this season in Turin - a shock 1-0 victory at Juventus on the opening weekend. Torino crashed out of the Coppa Italia after a humiliating 4-0 defeat to city rivals Juventus on Wednesday evening. Giampiero Ventura started with Salvador Ichazo in goal in place of regular number one Daniele Padelli, whilst Fabio Quagliarella was left on the bench as Andrea Belotti and Maxi Lopez started up front. After a tentative start to the game, a controversial moment changed the game as referee Daniele Doveri failed to dismiss Juventus striker Simone Zaza. The former Sassuolo man, who was already on a yellow card made a late challenge on Toro keeper Ichazo, but the referee failed to produce a second yellow. To add insult to injury, Juventus took the lead moments later when Alvaro Morata's cross was volleyed home by who else, Simone Zaza. Toro's task was made even tougher just four minutes into the second half when former Juventus man Cristian Molinaro received a second yellow card. And from the resulting free kick, with the assistance of some poor Torino defending, Simone Zaza scored his second of the game. Juve substitute Paulo Dybala curled in a third goal, whilst Paul Pogba made it 4-0 with a long range free kick late on to cap a miserable night for the Granata. Torino will travel to the Juventus stadium for the second time in less than two months as they face their city rivals in a Coppa Italia last sixteen tie. The cup could represent Toro's best opportunity to qualify for Europe this season, and have been taking the competition seriously and will continue to do so against the Bianconeri. 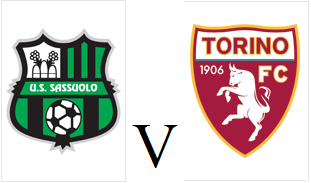 The Granata have been well rested after Saturday's fixture against Sassuolo was postponed, and Toro will be hoping to gain revenge for October's heartbreaking last minute defeat. The Coppa Italia is certainly not Juventus' priority this season, and therefore Massimiliano Allegri is expected to rotate his squad and use a number of fringe players. 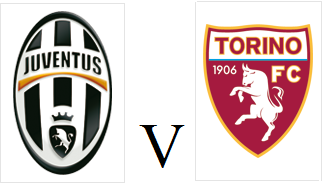 Daniele Rugani, Martin Caceres and Simone Zaza are all expected to start, and Torino may hope to take advantage. Torino's fixture with Sassuolo was postponed before kick off on Saturday evening, with heavy fog causing visibility issues. A re-arranged date for this fixture has yet to be announced, but it is likely to be either January 13th, 20th, or 27th depending on the Granata's success in their Coppa Italia tie on Wednesday. Torino will look to continue their recent good form when they travel to Reggio Emilio on Saturday evening to face a Sassuolo side who are also in good form. Toro will be without the suspended Bruno Peres, so Davide Zappacosta should deputise, whilst Marco Benassi will miss out through injury. The Granata may have one eye on Wednesday's Coppa Italia tie with Juventus but will be unable to take the home side lightly. Sassuolo are unbeaten at home, and have already beaten Napoli and Juventus at the Mapei stadium this season. Torino's impressive recent form continued as they fought back to score an injury time equaliser to earn a point against title challengers Roma. The Granata were unchanged from the side that beat Bologna last weekend, with Andrea Belotti partnering Fabio Quagliarella upfront. Andrea Belotti almost scored his second goal in successive games, but he was somehow denied by an excellent save by Wojciech Szczęsny's legs. Bruno Peres also came close as his long range effort was deflected by Lucas Digne and almost snuck past the Polish goalkeeper. Edin Dzeko wasted a great chance for the away side when he headed over the bar, whilst Juan Iturbe did the same moments later. With less than ten minutes remaining, Roma took the lead when Daniele Padelli failed to deal with a floated free kick from Miralem Pjanić which somehow beat everyone and found its way into the net. Substitute Josef Martinez forced a save out of Szczęsny with an impressive volley, whilst at the other end, Edin Dzeko should have put the game beyond any doubt but was denied by Padelli. In the fourth minute of stoppage time, Toro were awarded a controversial penalty when Andrea Belotti was adjudged to have been fouled by Kostas Manolas, although it did look as if the Greek defender had won the ball. With usual penalty taker Fabio Quagliarella off the pitch, Maxi Lopez took responsibility and sent Szczęsny the wrong way to earn Torino a deserved point. 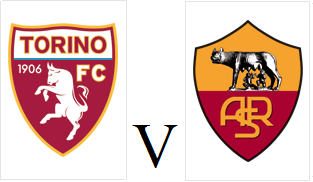 Torino will look to make it four wins in a row when they face Roma on Saturday afternoon at the Stadio Olimpico. Fabio Quagliarella and Andrea Belotti could both return after missing out against Cesena in mid week, whilst captain Kamil Glik should also return. Roma have lost their last two games against Barcelona and Atalanta and will also have one eye on Wednesday's crucial Champions League tie against BATE Borisov. Torino progressed to the last 16 of the Coppa Italia and a tie against Juventus after a convincing 4-1 win over Cesena on Tuesday evening. The Granata made a number of changes from the side who beat Bologna on Saturday and it only took three minutes for Torino to take the lead. Daniele Baselli's corner caused havoc for the Cesena defence and although Emiliano Moretti and Josef Martinez both had efforts saved, Alessandro Gazzi finally bundled the ball home. Toro doubled their lead ten minutes later, as another Baselli corner was flicked on by Gazzi and Emiliano Moretti tapped in. Josef Martinez was so close to getting his first goal of the season, but the Venezuelan somehow saw his effort cleared off the line by strike partner Maxi Lopez. Six minutes after half time Toro added to their lead after great interplay between Martinez and Lopez allowed the latter to score with a nice finish past Federico Agliardi. Emmanuel Cascione reduced the arrears for the away side with 25 minutes remaining, but Marco Benassi put the result beyond any doubt with an excellent solo effort in the closing stages.